The title for the stage play featuring various H!P artists has been changed from Ribbon~reborn~ to Ribbon~Inochi no Audition~. I’m not sure if it’s Ribbon~Inochi no Audition~ or Reborn~Inochi no Audition~ since they used Katakana for the first part, but the new title for the play means something along the lines of Reborn~Life Audition~ which matches the description that was released when the play announced, and while we might not have that many details apart from what we already know it seems like this play will be very interesting. As mentioned before this will be the first play for most of the 9th generation, although it will be fun to see who stands out since they all seem like they could do really well in the play. Apart from that Riho’s injury will most likely be healed by the time the play starts, but we’ll have to wait and see what the result for Mitsui’s checkup will be since her previous check up resulted in a longer healing time. For now the play is starting to shape up to be a very interesting event since it includes quite a lot of H!P and UFA members, but I hope we get to see some previews or at least a promotion flier by next month. The play will run from 10/8 ~ 17. According to the official H!P site, after her checkup Mitsui Aika has been advised by doctors to rest for 8 weeks. 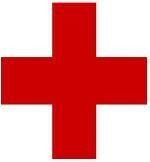 Sayashi Riho was also told to rest 6 weeks due to ischium nerve pain on her right side. They will both miss the rest of the Hello! Project 2011 Summer tour. As always injuries are one of the main concerns for fans and while both Mitsui and Riho will miss the rest of the tour it’s good to see that they will follow the doctors orders and rest to heal their injuries since their health is the top priority. Mitsui’s left ankle bone fracture seems to need a bit more rest before healing, and while she did appear at events and concerts and sat down during the performances it seems that it’s for the best for her to miss the the remainder of the H!P tour to make sure her injury heals well. Riho’s injuries are a bit more sever than I thought since I had the idea that she had only suffered a minor sprain, but it seems that she has ischium nerve pain, which according to Wikipedia is a fairly common lower hip bone injury caused by sudden movements during some sports although in this case it was due to the many hours of dancing that members need to due during performances. Despite the reason for the injury, I wish both Mitsui and Riho a complete and fast recovery and hopefully after the 6 and 8 weeks they are both well healed and in perfect shape to perform once again. Mitsui will need to rest 8 weeks and Riho will need to rest 6 weeks. A stage play currently titled “Ribbon～reborn～” has been announced and it will feature various H!P artists. Between “this world” and “that world” there is a world where 10 “new lives” have been prepared. The 10 people who have gathered are “historical super stars”. But, a 11th one who is a “nameless ordinary person” turns up. The great ones holds a “audition for being reborn”. I really like that the cast line up so far since it seems like they picked random members for the play but regardless of that I’m real excited for this since this will be 9th gen’s first play (except for Riho) and I’m curious to see what their acting is like. Also in the Fashionable play Riho played a very minor role so hopefully we’ll see her in this play a little bit more and we can get an idea of what her acting is like. I’m also very surprised to see Erika Miyoshi in the line up since it’s been awhile since we’ve seen her so hopefully some of her fans can attend. Hopefully more information is released soon, such as the characters and some promotion fliers/photos and a plot summary. The play is set for 10/8-10/17. 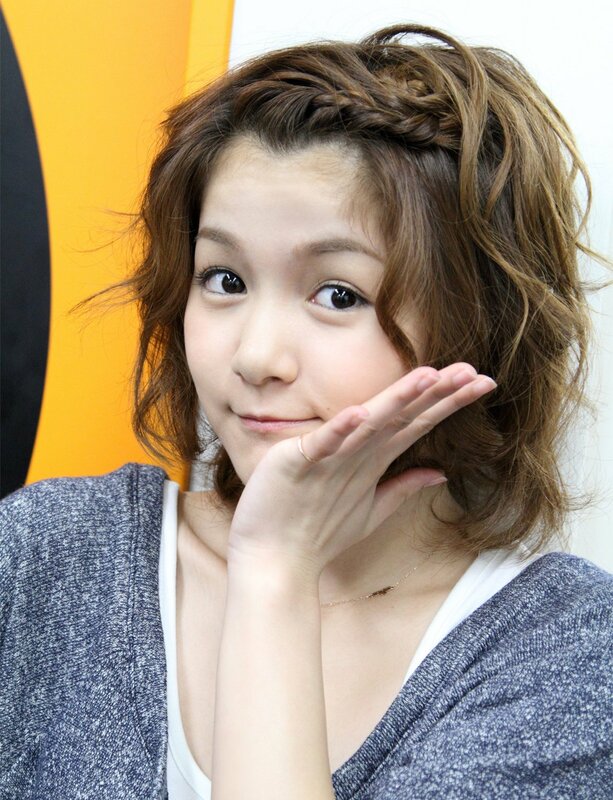 Mitsui Aika has been diagnosed with left ankle bone fracture. After the Morning Musume concert this past weekend Aika complained of pain in her left foot, after which she went to the hospital where she was diagnosed with the injury on 5/9. Mitsui will be out of events for at least 8 weeks where she will be examined again afterwards. Even though Mitsui will be out for a about 2 months I am glad to see that the injury she was diagnosed with isn’t major and that she will hopefully be able to perform once again soon after she gets a chance to rest up. As was mentioned before Mitsui will attend the events but she won’t be able to do any dancing or anything similar in order to rest up, which is a relief since that means that she will be able to appear without having to miss out on the events that are planned. 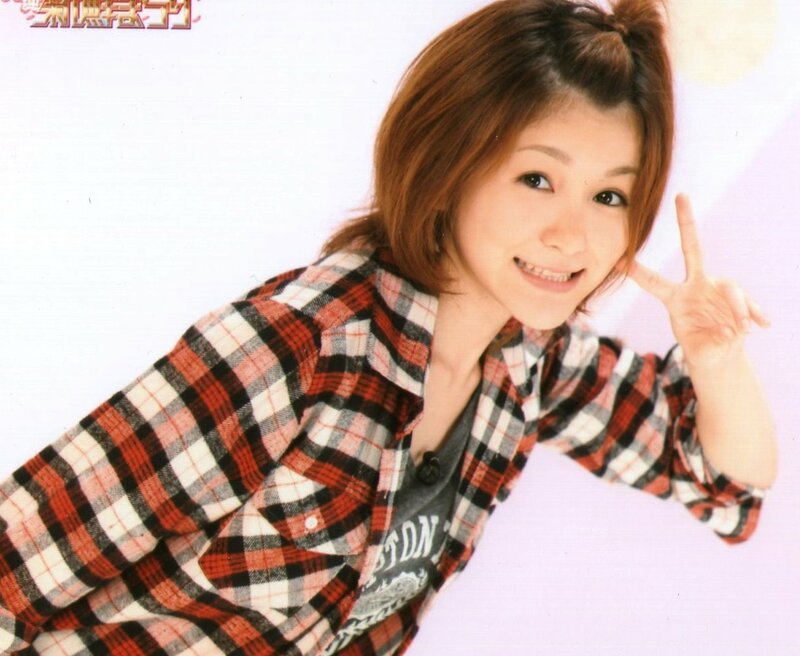 It seems that Mitsui hasn’t had the best of luck when it comes to injuries (she has had quite a few in the past years) but she always comes back with full force and gives fans a chance to see her great personality, and most likely this will be one of those times as well so I look forward to hearing about her recovery and how she is doing in the next few weeks. Hopefully we get an update from the members or H!P once she is better. Mitsui Aika will have her first solo FC event titled Aika no ANNEX Event ~Pastel Color Days~. Fukumura Mizuki, Ikuta Erina, Sayashi Riho, and Suzuki Kanon will be guests at the event. I’m somewhat surprised to see that Mitsui will have a solo event, but since most of the other members have already had a chance to enjoy their own and since she is the only member of the 8th generation currently in Momusu it seems like a great way for Aika fans to enjoy a solo event of their own. The title is a reference to her blog, which is a nice touch since fans most likely already read her blog and will most likely look forward to the event even more since the theme will be focused on her. Since it is a solo event it seems that Mitsui might need some help in order to play contests and other interactions so I’m glad to see that members of the 9th generation event will be attending since Mitsui will be able to sing with them and to have contests along with other events that are usually done at solo events. Hopefully Aika and 9th generation fans attend the event since it seems like a great way to spend the day. The event will take place on 6/6 and 6/9 at 18:00 and 19:45. 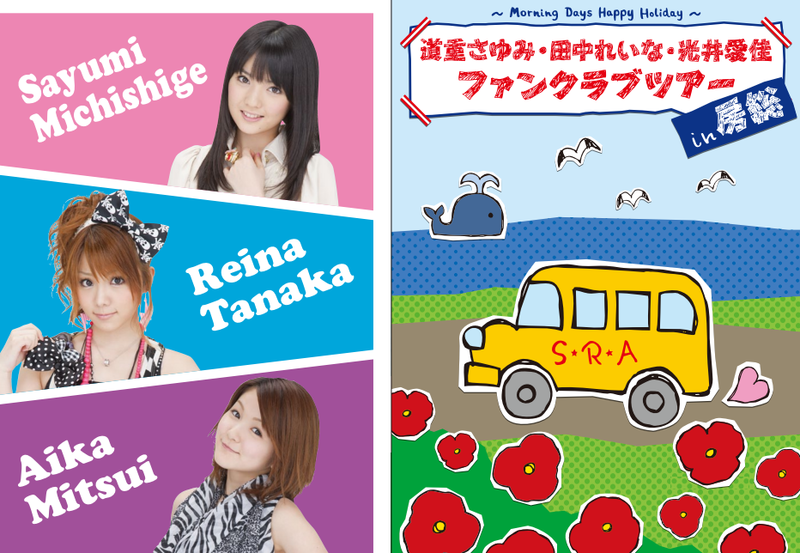 Sayumi, Reina, and Aika’s Bus FC Bus Tour on 5/28 which was scheduled to go to Chiba, Boso will now instead go to Shizuoka, Tokai and it will be titled Morning Days~Happy Holiday~ Sayu, Reina, Aika Fanclub Tour in Tokai. The destination was changed over concern of safety over aftershocks and side effects of the recent earthquakes. I’m glad to see that they have decided to change the destination for this bus tour since safety of all the fans who will attend the event as well as the safety of each one of the members is very important, and while some fans might be a bit disappointed it’s great to see that they only changed the destination and didn’t cancel the event. Most fans probably won’t care that much since an event with Sayu, Reina, and Mitsui in any place seems to be a fans dream come true, but I hope we can get fan reports about the event to see if everything went smoothly once it happens. Most likely staff is busy planning out interesting events for fans to enjoy in the new destination so hopefully many fans are looking forward to the new destination and the event. The bus tour will be on 5/28 ~29.